A house can be more than just a shelter. Some houses are places where family traditions grow, where memories live.But what happens to the traditions and memories when the house is gone? 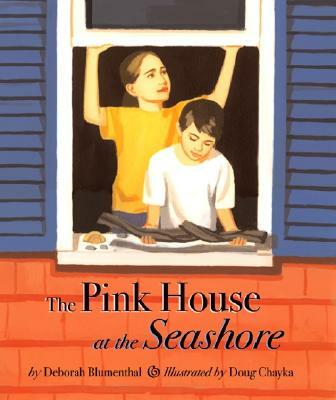 After losing a beloved summer home to a treacherous storm, two children and their parents discover the affirming answer to this poignant question . . . together. Evocative paintings and spare text show the family combing the sand for fragments of their possessions, sharing memories, and beginning to look beyond their loss. Deborah Blumenthal is a health-and-fitness writer living in Houston, Texas. This is her third book for Clarion.